There are certain buzzwords and catch phrases of our time that bug the hell out of me. The word “sustainability” is one and the catch phrase “big picture” is yet another. Why do I dislike of the overuse of these words? Too many people say it and don’t even know what it really means. From the politicians to community leaders, they brag about being able to see the “big picture” for making Hawaii and the world a better place, but then take actions that show otherwise. If someone truly saw this beautiful “big picture,” it would mean that they could see how everything is interdependent upon each other and all affects it. They would be able to pick apart all the different entities that would be affected by a single decision. They would know such a decision has many impacts far beyond the obvious and will trickle down into other areas. What seemed like an “easy fix” tends to cause other consequences in others aspects that maybe unforeseen. It is pretty hard and complex to think like this and makes you really see how BIG the picture really is. For the anti-GMO activists around the world, they think that they are doing their part to save the world of this perceived evil. Whether it be stopping Monsanto, or some other evil agrochemical corporation, they are doing us a favor by taking such action. Whether it be a ban of growing GMOs on the Big Island or petitioning for a moratorium of crops on Maui, all they can see is that this evil must be stopped. There’s rich people paying money to influence this yet there is not a shred of credible evidence to back up the rationale for such legislation. They also use powerful motivators with fear and misinformation from Don Huber’s unidentified organism, to Tyrone Hayes Atrazine and mysterious frogs, and now Jeffrey Smith’s legit sounding Institute for Responsible Technology. They see their big picture as ridding the world of GMO and pesticides to make it a better place and don’t even realize the full implications of such actions. What these people don’t see is what else they are contributing to when they protest and hold concerts together. They don’t see the things happening beyond our own world that their actions have a significant impact upon. The big picture goes way beyond our islands and around the world. We have no worries about where our food is coming from and whether or not we will have another meal. Food is not an issue for most of us. As a result, we are free to pursue other aspects in our lives with work and leisure and activities. What about the rest of the world who does not have such luxuries of us? Shouldn’t we as a nation of wealthy, well fed individuals consider how we can help our fellow human that doesn’t have such opportunities? A bananapocolypse? Banana crops around the world is in danger of decimation due to a fungal infection. In some parts of the world, people consume up to 500 lbs of this crop as it is a staple. Research is being focused on the genetics of this fungus to determine what the source is and how they will solve this problem. A deadly staple with a touch of arsenide. Cassava is the “ultimate food security crop in Africa” and it is under attack by the Cassava Brown Streak disease that renders it toxic and inedible. Scientists are working on a transgenic crop to help protect it from this disease so that crops are protected. California is experiencing the very severe drought and is one of the main regions where most of our food comes from. It is positioned as the “agricultural powerhouse of the United State” when it comes to food production. When things are this dry, nothing will grow and how will our current crops stand up against climate change? Neither organic or conventional crops may be able to tolerate those kinds of conditions if it persists. Bt Brinjal can help decrease developing world farmers against old world pesticides. A public sector developed this crop to help save farmers the need for the conventional methods to grow this essential crop in Asia. It also protects the children of farmers from having to handle such pesticides. Without the treatment of pesticides, these people can lose up to 30% of their crops leaving significantly less income and food for their families. An estimated 250 million preschool children around the world become vitamin A deficient by the WHO estimations. About 250,000 to 500,000 become blind every year with half dying within 12 months of losing their sight. Consider this perspective, that there is estimated to be 1.392 million people in Hawaii. If we let 500,000 or 35.6% of our residents succumb to this preventable illness, what would that burden be upon us as a state? Consider that Honolulu has 973K people and to let 500K die or become disabled, where would that leave us? While we in the US and other western countries are busy fighting about banning and labeling GMOs, what message does that send the world who live far away from the conditions that we experience? We have clean water, lots to eat, access to education and technology and a hell of a lot of energy to complain about our food. Some people have a lot of energy to get together to organize marches against some evil corporation or exchange seeds in hopes of a revolution against a corporation. What good is that kind of action and message send the world about us as individuals? It tells the world that we don’t care about what happens in their neck of the woods and what happens to them because we never have to worry about these issues at all. What kind of human have we become when we don’t think about our fellow human being? I really admire how the Bill and Melinda Gates Foundation have really learned about the plight of people around the world and figure out ways to help them. If we help others, our goal for a better world can truly be fulfilled. Several key issues that they work on include education of women, access to technology and energy, and food for all. These are all basics that we are so fortunate to have access to that we take for granted. If you watch the video posted above, you can learn about the naiveté of Bill and Melinda Gates had about the problems of the world. They sought the consultations of scientists to help study the problems and how they could best help the issues that we don’t even think twice about. Multiple issues from birth control, vaccinations, education, and food impact the quality of life of others across the world from us. Much of why these people don’t have access to some of these tools, are political, which is what Melinda saw as a crime. They both decided to do something about it. It is sad to think that we have the power to share the right information for others if we’d take more time to research exactly what we are supporting. GMOs are not about agro-chemical companies poisoning the world or evil corporations owning the food supply. If people keep protesting it, it will only force this technology into the hands of companies with the financial backing to bring it to fruition. It’s about a powerful tool that if given a chance, could do so much to help others that I will never meet, but ultimately have a positive impact upon because I chose to speak up for what it can do for others. Instead of just wanting that sustainable and compassionate Hawaii, how about thinking beyond that? If you’re going to do something, why not think about that bigger picture?! Several years ago, I decided to get into gardening. Yes, gardening, not farming. 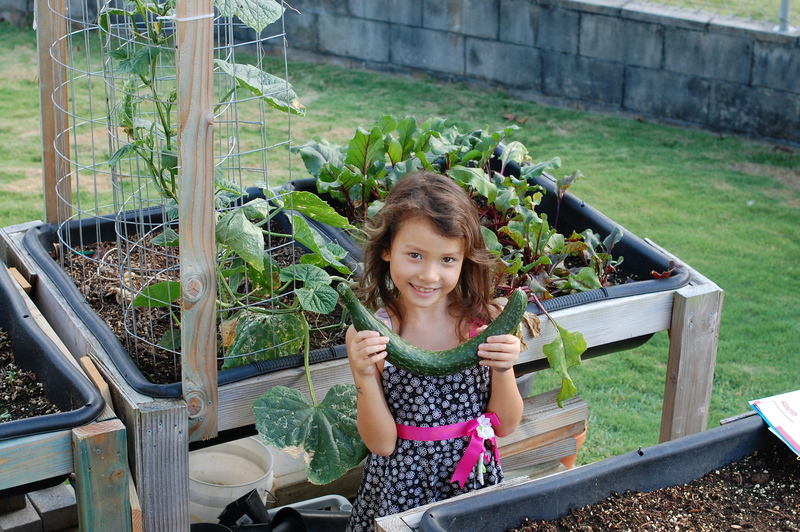 It started out as a hobby for me to grow my veggies here and there and a good thing to do with my kids. My first project was trying out aquaponics, which seemed like a neat thing to start. I asked my dad what he thought and he said, “Sure, go try it out.” I figured it sounded cool to try and he said it would be good to do. So I went ahead and decided to take a leap at this great project. I spent about $300 for a small system with a 50 gallon tank, cinders, pump, PVC pipes and the fish. 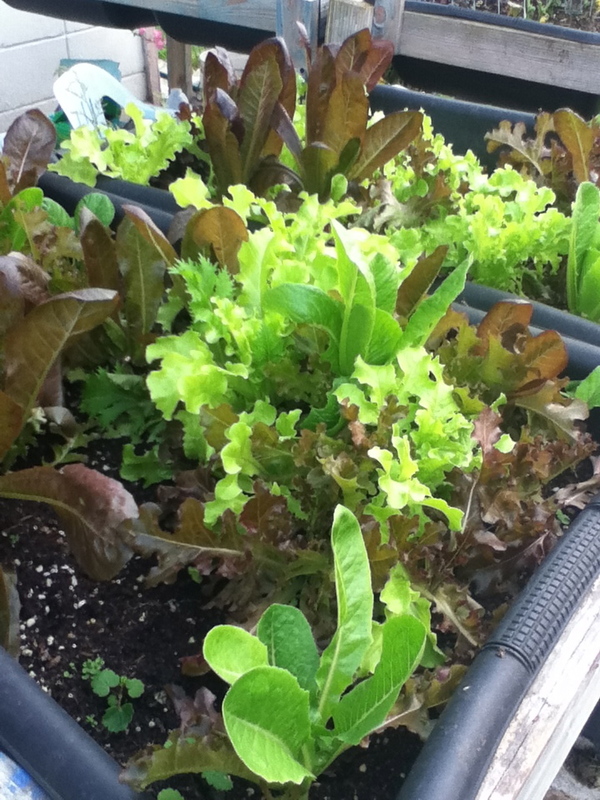 It did great with my lettuce initially but I found that the growth rate was pretty slow for me. I couldn’t get the nerve to kill those tilapias and eat them either because they stunk so much. Those fish essentially became pets. In frustration, I asked my dad, why does it grow so slow? He told me that there wasn’t good control of nitrogen being delivered to the plants in these kinds of systems. Aha! Being impatient and eager to grow something, I decided to start up regular dirt boxes that were raised to grow my garden. I designed a stand and sawed up the lumber and put it together. I filled it with regular potting soil from my favorite place, Yamashiro Hardware. I also built it at standing level so that my grandmother could garden in it if she wanted to. 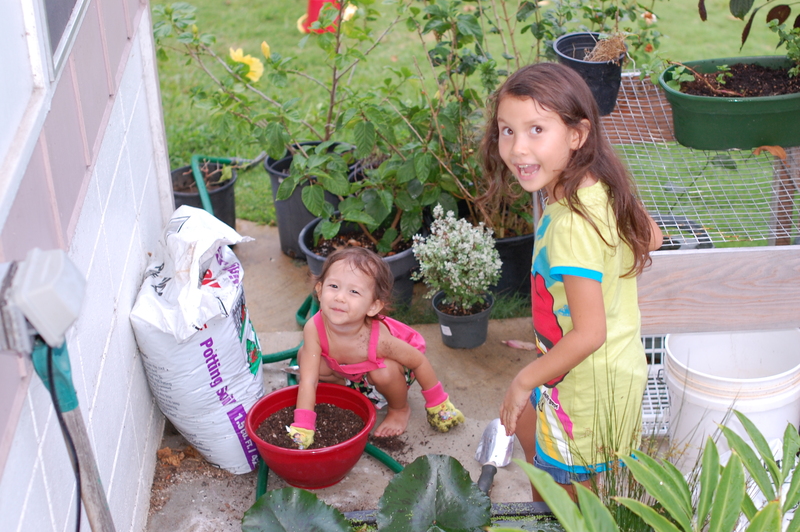 I had my two kids fill up the boxes with the potting soil and a mix of compost as I heard that there was this mix that was really good for gardening. Well, the things just didn’t grow so well and I was stumped. I had my dad, the plant doctor, take a look at what what going on. He told me that it was most likely the compost product was not completely broken down. The bacteria had not broken down the organic matter and was now stealing the nutrients that the plant needed. I had to wait for a few months before I could start again. After about a few months later, I restarted my boxes up again with a nice fresh seeds. Within two months, I really could see the difference in the health of the plants compared to the first generation. I asked my dad again what should I do next and he said put some fertilizer periodically. Sure enough my garden was beautiful! I was pretty darn proud of myself for getting my garden going. Then nature took its course and the delicious, mild mesclun got some sunburn. Despite watering it daily, one hot day, it dried out the soil just a a wee bit too much. All of my delicious lettuces turned awfully bitter and it was ruined. I asked my dad again what happened and he explained to me why it’s important to water lettuce or lose your whole crop. Lesson learned again. It isn’t that easy to grow things. So much for the lettuce. My next experiment was beets, as it was something that my mom loved growing on the side of my dad’s fields when I was a kid. I had just seen something neat in a Yamashiro’s ad for an organic fertilizer that I wanted to try out. The one pound bag of bat guano was pretty expensive at $11 which was more than the box of MiracleGro. 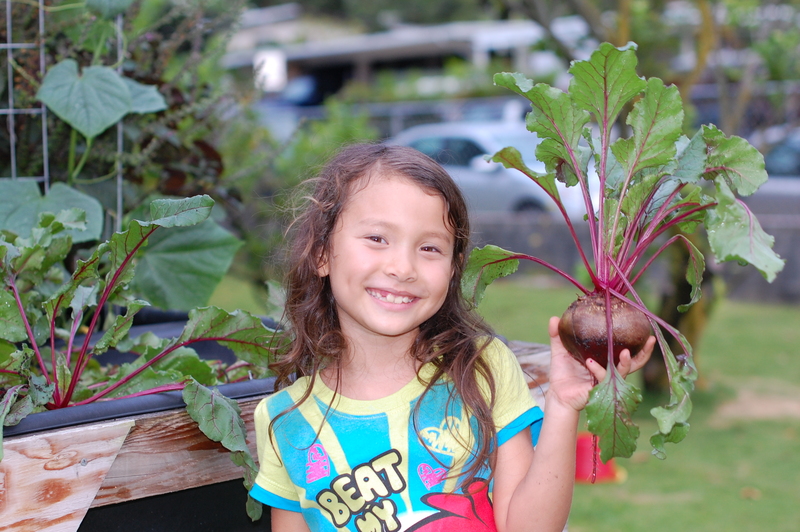 I did two boxes of beets and learned why the regular fertilizers worked better for the money. My dad came by and asked me what I had put on the box of beets that were half the size of the thriving box. I told him that I used bat guano and he just chuckled at me again. “Did you learn something there?” he asked me. I had to agree, yes, I did learn something again. I was really starting to get the hang of this gardening thing after about a year of trial and error. My next experiment was growing cucumbers, which was something my grandparents did on their farm. I did the composting bit and waited a few months before I dropped in a seed from Fukuda seeds as my dad said buy the local seeds that are best suited for here. I listened to him and did so. The vine did beautifully as I had expected after learning from how many mistakes. We got about 8 beautiful 2 foot long 3 inch diameter Japanese cucumbers. I was pretty proud of the first beautiful cucumber we got and kept seeing the flowers bloom, hoping for more. That did not happen as expected because I did not pay attention to what nature was doing to my vine. My dad did his weekly walk by my vine and said, “Hey, are you spraying your vine?” I said, “Spray for what?” He continued, “You got lots of bugs on there and you’d better take care of it soon, but it might be too late already.” He went on to explain that aphids multiply exponentially and based upon what he saw, the population of aphids on my vines had already done that. I listened to his concoction of what to spray which was some dish soap and water. Sure enough, like a prophet, my vine was overrun by the bugs and I only got a single cucumber. My cucumber was literally a mono crop, a single vine, yet it was decimated by bugs. I can’t tell you how many lessons I learned from these few years of gardening and the expertise that is needed to understand what happens. I started to have a greater appreciation for those farmers who are able to keep a stable supply of their produce filling our shelves week after week, year after year. It takes a lot of education, observation, know how to grow food for others. Just thinking about all the hard work my dad for all these years really made me have a greater respect for him and his knowledge base. My dad is an amazing person that is unbelievably dedicated to his life’s work and passion, which is growing food for people. For me being his daughter and seeing what is happening in our state with farmers has really affected me. When people started joining the bandwagon of the “right to know” movement to label my dad’s fruit, it got me mad. On one hand, they’d say then have this fundamental right, and then on the other side of the coin I see them making blatant lies and wearing gas masks carrying papaya trees. I also hear people saying how his trees are poisonous and that he is destroying the a’ina because he isn’t organic and grows GMO. How can that be if he can grow his crops for 40 years now? It’s utterly saddening when lawmakers also jumped on this trendy activism also and attempted to pass such a law against farmers like my dad. I saw how much time and effort was spent by my brother and my dad to go down to the legislature to defend their life’s work. He couldn’t get to that broken plow, nor could he fix his truck, the fields had to wait to be planted, scheduling in testimony time between deliveries, and so many more tasks had to be put off. Then the anti-GMO county laws started yet another onslaught of legislation that had repercussions that would trickle down and affect his farm once again. More work had to be put on the side to deal with more regulation that was being incited by these two faced people. The 99% was making demands because they never took the time to actually come and learn from a farmer themselves about how food was grown. They had gone to some community seed exchange event and learned some misinformation being perpetuated about the seed issue by groups like Hawaii SEED and others. Yes, they could grow things without pesticides and that empowered them with this false knowledge that if they can do it, so can the average farmer. 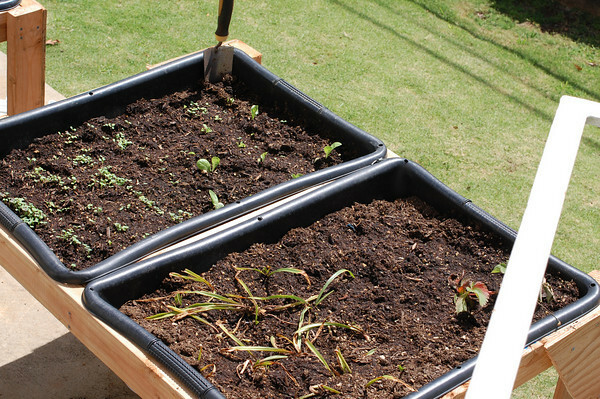 That garden they were growing was testimony that they can grow without “bad” chemicals so everyone else should do it too. Even images across the social media touting organic farming is better for you and so on bombarded people’s minds of farming. They became “experts” since they read a meme that organic is a economically viable and sustainable way to farm. So many false images and information gave people this idea that if a farmer wasn’t organic or GMO, they were bad people for choosing such a way. Most non-activist local people and some level headed legislators saw through all of this and worked through to fight for the farmers rights, only to be impeded by ones who have never ever fulfilled a farmer role ever. The ones who choose to align with the gardeners and their “rights” don’t have the full picture but are the ones making laws, which is misguided. They contribute to the problem of why we can’t produce enough food by creating this fight. If we as a state really want to have more local food, it’s not just the farmer’s job to speak up and educate people, the local people wanting their food also needs to speak up for them. It’s True! I Proudly Support that Evil GMO! 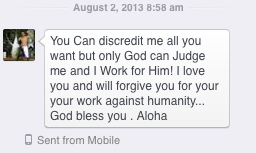 Here’s a message I received several months ago from the Kauai Mayoral candidate, surfer, and MMA fighter, Dustin Barca. I truly believe in this evil called GMO and am not ashamed to state it. This evil has the terrible potential to make people’s lives better who I don’t even know. 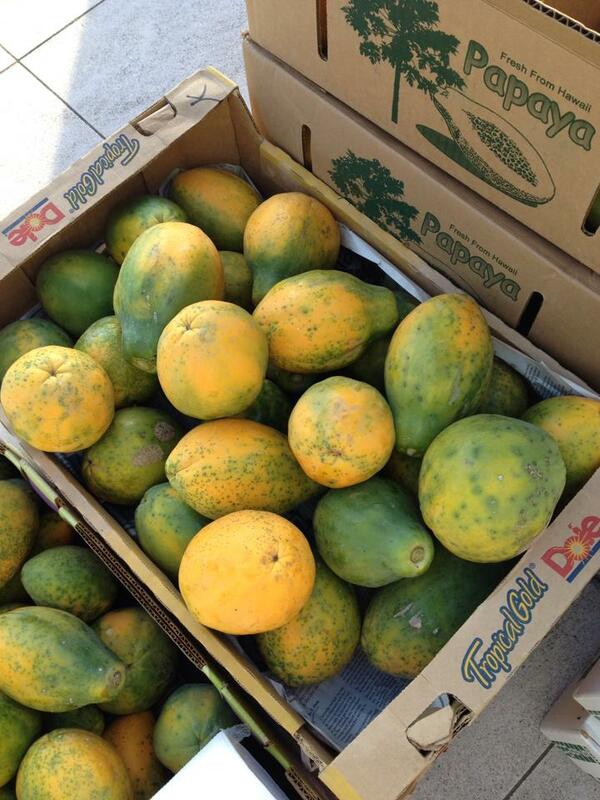 This evil thing that I support has saved hundreds of papaya farmers across our state continue their work to grow delicious sweet Hawaiian papayas that millions of people can enjoy today. It is evil to allow any farmer this technology because they should go back to working in offices and away from their farms. 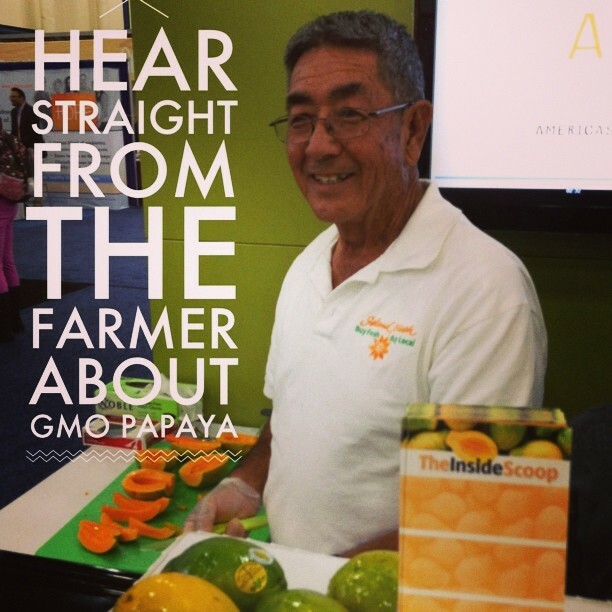 My evil GMO papaya farmer father who is feeding people this awful poison decade after decade. He too is happy to support this evil and crime against humanity. Let’s face it, I am born into a pure evil family. My evil father has been growing these papaya for over two decades and despite being considered a senior citizen, he still continues to toil in his evil GMO fields. He also is guilty of using evil, earth destructing chemicals to make his papayas growing year after year too. He’s perfectly healthy even though the good people say that he should have cancer and other diseases from using such horrible substances. He somehow managed to survive farming back in the 1960’s where a single drop of pesticide killed his farmer friend in Waimanalo. Oddly enough, he’s been using evil chemicals that supposedly destroy the a’ina but still yield lots of fruits and remains fertile year after year with not a single illness as a result. The rivers and streams that are bordering his field and toxic and thriving with lots of fish but it doesn’t matter because it’s dead with life. It doesn’t matter what the facts are, he’s GMO and he’s evil and a horrible person for his work to help Hawaii agriculture. I am the most awful thing on earth for fighting against labeling my dad’s fruits too because even though it isn’t different than an organic one, I should allow fear mongers dictate to him what he has to do. It’s evil to fight those contradictory people who say it’s their “right to know” but ultimately want to ban it in the future because being honest about their intent is completely unimportant. It’s a good thing to say one thing and then say another because it’s okay to be dishonest against farmers that are evil. Horrible poisonous GMO ready to be served to millions of human experiments for another 2 decades! I really love this horrible evil thing called GMO because I met a farmer named Ravichandran Vachinathan in India who shared with my why he supports the evil too. He shared with me that the chemical companies and the agribusiness companies separate in his country. When GMO cotton became available, farmers wanted these seeds so that they do not have to expose themselves to old toxic pesticides that could kill a person instantly. Farmers were happy to embrace this evil so that they no longer have to rely on the good old technology. The good activists worked their hardest to block the evil but did not succeed and farmers were able to get to use this evil. This evil GMO cotton has allowed them to grow much more with less good old pesticides and give greater yields and giving them more evil money to take care of their families. Shame on those farmers for wanting money for their families and not wanting to use those good old pesticides. Money is the source of all evil and poverty for these families are much better according to the good wealthy activists of Greenpeace. The evil cotton farmer Ravi who uses this horrible GMO. This evil will never come to light to help save the eyesight and lives of millions of children in developing countries because the good activists will protect them from it. There is an evil Golden Rice that farmers may get that will prevent that good thing called blindness and death. The good activists are fine seeing children going blind and having a parent feel the loss and pain of their child for they are protecting people from a horrible evil. I get even more excited about embracing this evil GMO companies who are bringing this horrid technology to poor countries. The good activists of the Center for Food Safety are ready to keep this evil from expanding its reach to others who would be fed by it. It’s good to have people starve and have harder times feeding their families with this evil technology. Suffering with malnutrition and hunger is a good thing for these people because they need a good label to inform them of evil. It doesn’t matter how this can help others, but evil corporations should not spread this evil to end the good outcomes of the superior ways of growing food. The good Center for Food Safety has spoken that it is evil to allow corporations to provide technology to help others. I can’t help but jump on the evil bandwagon because I am selfish for wanting to subject my children to consuming GMO food. I should feel horribly bad about not spending more money to feed them this good organic food that isn’t anything different than conventional. I willingly subject my children to food that has been thoroughly tested but is still inherently evil. This poisonous GMO has caused some kind of horrible harm to them that I just can’t quite see and I know my kids will pay for it in the future. It’s evil and has somehow allowed them to grow to a healthy ripe age of 8 and 3 amazingly. I’ll still continue to subject them to this evil for they are guinea pigs in a science experiment. Dear god, I’ve let my child handle and consume a frankenfood! 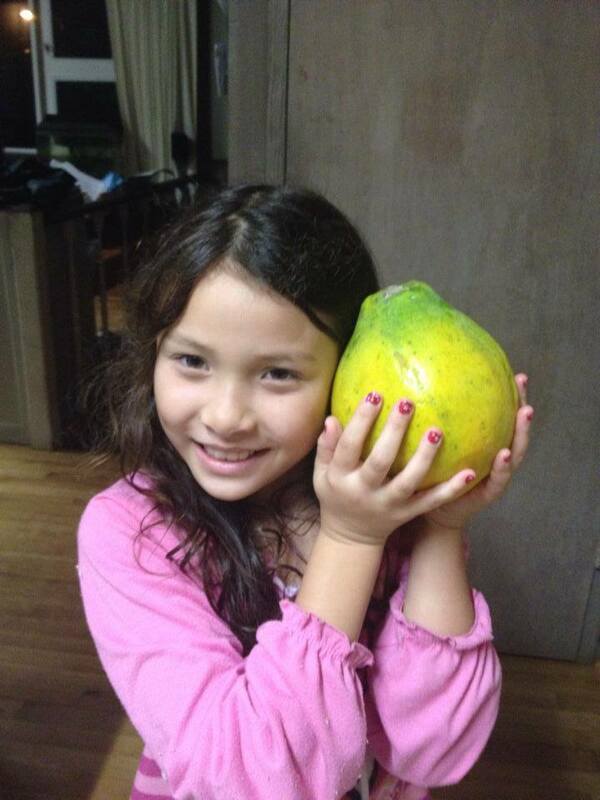 She loves this evil GMO papaya that she shoves down her throat willingly like a horrible science experiment! I’ve been reminded so many times that I’m evil for spewing the corporate propaganda of this evil thing. I am evil for considering that there are hundreds in the scientific community that have accepted the evil evidence of GMOs. Everyone and anyone who says GMOs are safe are all terrible, awful, devilish people. It is evil to not believe the good industry that has provided useful information in the form of skulls and crossbones to educate people about it. The good “educated” people listen to the Babes Against Biotech, GMO Free groups, Gary Hooser, Jessica Wooley, Kelly Slater, Roseanne Barr, Walter Ritte, Earthjustice, the Center for Food Safety who are completely honest with people about this evil GMO. Fear is good and they should always be held captive in that state for knowing this evil is way more dangerous. I am just the most horrible person for not reading the truth on the websites like Mercola, Natural News, Sustainable Pulse, AltHealthMed, Organic Consumers Association, RawFor Beauty, GreenMedInfo, and the hundred of other sites. I am so ignorant for not believing in chemtrails, natural cures, and living chemically free. I also believe in the horrible gospel known as chemistry and biology that is pure propaganda when people tell you that everything is made up of chemicals. Understanding how to debunk stuff on those sites is terrible for you need to just believe and not trust anything anyone else say for corporations are always out to kill except those organic corporations. I really have committed a crime against humanity when I continually write propaganda on my blog about this evil. 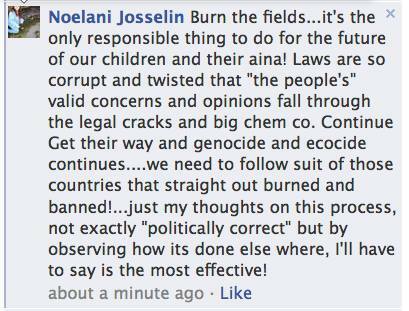 I am a horrible person for spewing facts and questioning the good activists who are saving our world. There are even good activists trying to run for office who are righteous for sending me messages to stop my spreading of this evil. We must vote good people in who want a healthy dose of fear remain among our public citizens for fear of evil GMO is the right thing to do. These people do the right thing by supporting only some farmers for that is a good thing because we don’t need any technology in farming at all. Only some farmers are okay in our islands. A message of righteousness from a good activist running for office on Maui, Terez Amato. As you can see, I am just a horrible person for wanting others to have access to that evil quality of life and a cleaner environment. I should only be thinking about what is happening in my own world and not how my actions will affect others around the world, for that is the only good to be had. I admit, I am purely not capable of doing such a thing. Myself and others who speak out and support the evil deserve to have the good activists subject others to say and send good messages like these for we deserve it. It doesn’t matter if the evidence states otherwise, all evil people deserve to be told this no matter what for this is the right thing to do. As you can see, I am just a horrible person at the core that went to the university to learn of this propaganda to only use it the spread pure evil. I am evil and a demon for even trying to help others who may benefit from it and pointing out how it’s benefitted all of us. Its even worse that I spread facts and the truth about this terrible technology. I should be worried about what I’m eating and not about whether others have something to eat and grow for their families. Because I show now fear, I am the ignorant one pure and simple. I am even more awful for even allowing my kids to even partake in learning about this evil technology because they will only become bearers of helping others and that is a crime against humanity to save other humans. 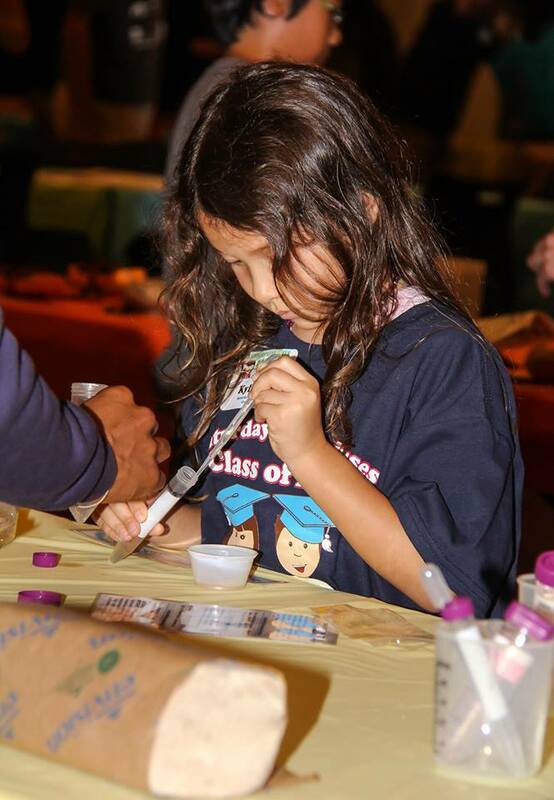 Opening a child’s mind to science and wonder is a tragically horrible thing to do for I should be doing good by taking them to protests and concerts to subject them to fear and hate. Real education of this technology is only propaganda and only pollutes young minds. Protests and concerts about GMOs are the real truth to the good knowledge that I refuse to participate in. I have allowed my child to extract this evil thing called DNA and interact with evil scientists who spread the evil doctrine of science. I am also horrible for supporting scientists like James Brewbaker and Norman Borlaug, who studied ways to help feed the world. It’s a terrible thing to want to use science to feed people to alter our food even though we have been altering our foods for thousands of years. Their innovations used by farmers haven’t impacted me at all or the country I live it. It’s awful to think of others and make more food so that people will not starve. I will just have to face it that I’ve been a horrible sinner for all the things I have said and done. However, I will not in my evil conscience stop my propaganda tirades because this evil is the right thing to do for me. So Dustin, thanks for forgiving me for my crime against humanity. 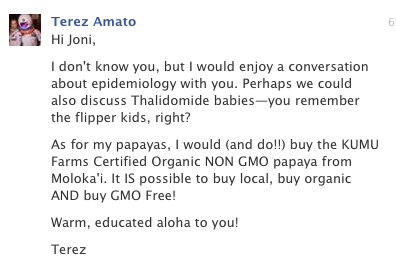 And Terez, thanks for only supporting the good non-thalidomide papaya farmers because it really does the Hawaii a lot of good. To all the other commenters who have accused me of being paid to say what I do, yes, I’m paid in knowing that I supported something that help that farmer in India or Africa feed their family safer. I am even more horrible in that I do this as a free shill for no evil money at all. I am hoping that others start to join in my evil tirade to spread more propaganda based in science and evidence because I know that this technology has the potential to open minds which is the most awful thing to do. Will you join me? A few months ago, I did a post about the supposedly grassroots Maui SHAKA movement. By doing a bit of research on them, I found that it appeared to be a California based movement that was funded by a real estate venture of some sort. That’s the most I found on it. You can read the original post here. A lawyer by the name of Tom Rivkin, left a comment accusing me slander and not telling the truth, so I asked him for the truth that he never responded to. Today more news came out on this SHAKA movement that they were paying $5 for people to sign the petition. They announced it publicly on their pages a few days ago. They have gotten much more aggressive with their ways too by accosting people in public areas only to be kicked out later. Not only was someone willing to pay up to $20K for signatures, they were also attempting to register voters at the same time and posted the voter registration of Maui voters online. It included people’s names and addresses. I guess it was a way to legally harass people to sign their petition, but it was removed today due to complaints about it and it was illegal. What’s even more interesting today was the article in Civil Beat detailing how the anti-GMO groups have been under scrutiny by the Hawaii Ethics Commission. Turns out biotech’s worst hormonal attacker has been violating the lobbying law and she had to disclose all of her funding and expenditures. It’s all public information through their website along with their contributors’ names and addresses. Someone’s name on that list caught my eye as I was browsing it. The main reason it caught my attention was the fact that the amount given to Naomi Carmona was quite significant at $5K. 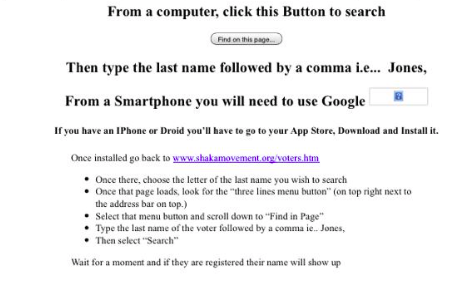 I also recalled seeing her name as the registrant on BREG for the SHAKA Movement filing. Note how there are 3 different addresses listed for this on person. So I decided to do some digging on this Barbara E. Savitt woman who has a lot of money to give. I looked her up on Spokeo and there is not a single Hawaii address listed for her at all. They are all California addresses. When you look up the first address, you find that she owns a $1.15 million dollar home purchased back in April 2013. It also appears that she was president of a company in California called the Savitt Family Foundation. It was a non-profit corporation and is no longer in operation as of 2006. It is listed in GuideStar as a non-profit but has no filings detailing their financials. This sounds a whole lot like Hawaii SEED and their guise as a non-profit but attempting to lobbying under it. It’s a great way to influence laws by avoiding taxes if you pose as a non-profit. You get to avoid the lobbying laws and filing requirements while all of your contributors get tax write offs! What a clever scheme they have concocted indeed! What is even more intriguing is that Civil Beat also posted yet another article on the SHAKA movement paying people for signatures tonight too. They list that an anonymous woman is paying for the signatures. I think I’ve just discovered who it is and she’s once again hiding under that nice non-profit status hiding as a lobbyist! When I mention technical names of common substances, it apparently incited fear in her. I’m glad she looked it up and found that it is just caffeine. Like many anti-GMO activists, she is afraid of chemicals, well, at least the chemical names of things that we use in our everyday lives. Everything around us is made up of chemicals including her “naturally derived” soaps. It’s all chemicals. One can use the technical names for things like caffeine and lye which make it sound innocuous. Nature is also compromised of chemicals and in fact is loaded with chemicals itself. It doesn’t matter if it is derived naturally, some are indeed more toxic than others. Even if you might derived your lye from ash that is natural, that in itself may not be very much different from synthetically derived sodium hydroxide. If it works the same way, then it probably is the same chemical regardless of how it was made. A good example of this is vinegar. When we think of vinegar, most people see it as what we use to cook, clean or preserve food in. It sounds very harmless. But when you use the chemical name of it, acetic acid, it can make people get very scared despite being the same substance. Chemicals can go by multiple names, whether it be naturally derived or not. So don’t be afraid of it, learn some basic chemistry and realize how chemicals surround us in our lives and it isn’t always bad. Many people like Pat fall into the appeal to nature fallacy. They tend to think that just because it is natural that it is much better for you. That isn’t always the case. Polio, botulinum toxin, mycotoxins, and so on are all derived in nature but they sure aren’t good for you. In fact, they are harmful and deadly in some cases. Nature isn’t always kind too with the disease like whooping cough, tetanus, and diphtheria. Cancer itself is nature going haywire to overproduce abnormal cells. It doesn’t always occur because of some kind of exposure. Man has figured out how to counter these natural creations to live longer and it isn’t always derived by “natural” means. Just the use of the term “natural” brings on the connotation that something is better for you or superior. Is nature always better when there are diseases, disasters, and famines? Nope. If we had let nature take the course in our human lives, we’d still be living to the ripe old age of 35. Disease likely would have killed us if nature was that kind. These comments are pretty interesting because it makes me wonder why people are afraid of modified plants growing around us. Much of the greenery around us in our lives are not derived in nature and genetically modified by man. From the gardenias to the variety of gingers and hibiscus plants, they are all modified. No one is afraid of that. What about all the genetically modified orchids that grow great in Hawaii? They aren’t tested and have random genetic sequences that we haven’t tested. Other examples of genetically modified plants in our world include sweet corn and pluots. Corn alone, whether it be organic or conventional, is a modified organism with untested genes. So are the bananas that we consume man made, but no one ever demanded testing of it. The latest and greatest superfood from across the world have unknown genetic sequences but people devour it without hesitation at all. Bottom line is that we consume a lot of genes but have we turned into that banana or a fish? Our bodies just don’t work that way obviously. Then the claim that chemicals aren’t being regulated is interesting because the ones used on many conventional farms and biotech farms require extensive documentation and licensing to use in many cases. They also have had lots of testing conducted on them prior to being released for use, despite what you’ve been told by certain politicians. You can go to the EPA website to actually see what the regulatory process is like. Note that there is no regulated use of pesticide sprays on organic foods either as required by law. Not all pesticides or substances used in organic production are derived naturally either. There isn’t a lot of testing of such pesticides prior to being approved for use either that’s required of biotech companies. That organic coffee you’re drinking there might have been sprayed more often than you like to consider. The Agent Orange and DDT statement is always the fall back go to reason as to why activists like Pat give as why they can’t support biotechnology. It’s time to share some facts about the argument that keeps repeating itself here. Agent Orange is made up of two chemicals, 2,4-D and 2,4,5 T. You still can find this hardware stores today as it is an effective herbicide. The problem with AO was not those two chemicals but the contaminant dioxin. I asked my dad why it was used and he said that it was, “Either you get shot before you even drop to the ground or clear the forest and have a chance.” Note that it was the chemical companies spraying it either, but the government. You can read more on AO here and here. 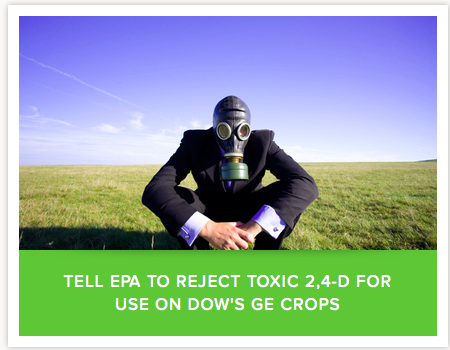 The DDT claim as to why activists don’t like biotech crops is yet another weak one. It is once again approved for use by the WHO to help eradicate malaria causing mosquitos. You can read more on it here why your argument using DDT doesn’t work against biotechnology. Many commenters like Pat are very afraid of genetics as is shown in their commentary over and over again. It’s most likely that they watched Food, Inc, OMG GMO, Seeds of Death, and Genetic Roulette and other moves on YouTube. The intent of those movies are to scare you. Did you ever think to try and debunk some of the movies or did you just believe without question? Easy way to see a different picture on biotechnology is Google the movie title along with the word “debunk” and you’ll see a different kind of site come up. Here’s some of my favorite simple videos on GMOs that don’t scare and actually can educate, if you actually take the time to watch and understand it. There’s a Gene in My Soup! While people can argue about why we shouldn’t have biotechnology as a tool, consider this thought about it. It’s a tool that can help others and why not nurture it so others can benefit?